Georgia’s race for governor provides perspective voters with a campaign season that exhibits two candidates that uphold diametrically oppositional beliefs. 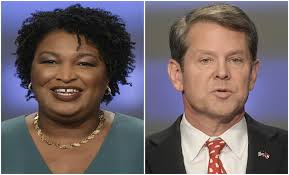 Having just moved to Atlanta as a Morehouse Freshmen, Kemp and Abrams were merely buzzwords that I would hear around campus, now their names are tied to distinct beliefs and political agendas. Stacey Abrams,the liberal candidate, and former minority house leader for Georgia’s House of Representatives serves as the first black woman to ever receive nomination for governor in Georgia’s history. The Republican nominee, Brian Kemp,and current Secretary of State of Georgia endorses conservative ideologies that oppose those of Stacey Abrams.If elected, each candidate plans on tackling important issues related to legal policy during their incumbency. Understanding the platforms of each candidate serves as the primary responsibility of civically engaged citizens. Abrams believes in putting more funding into public education rather than privatizing schools.She supports access to exemplary yet affordable child care and Pre-K programs because they are instrumental in their development as students. The extra funding that she wants to provide for schools would translate into better mental health services ensuring that all students are supported and taken care regardless of family income or zip code. Abrams also supports free access to technical college, debt free 4-year college, and need based financial aid in part by expanding the HOPE scholarship. 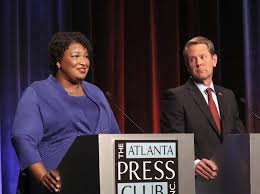 She also wants to increase the exposure youth has to politics and civic engagement through a program she wants to establish called the Governor’s Youth Council.Kemp believes in the privatization of schools and the distribution of power in favor of local school boards. One of the reasons he feels the current education system is because of teachers are bogged down with so much paperwork and protocol that they can’t do what they went to school for. 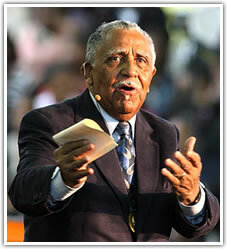 He feels that this is directly correlated to the high retirement and low retention rate of teachers. According to Kemp, government plays a much to large role in local education, he wants to set high standards for local school boards, administrators, and teachers with lax rules and regulations and allow them to take control of the education system because they are closest to the issue. Kemp is also pro school choice, he believes that allowing parents to choose what school their students go to enhances competition and prevents students from being trapped in a failing school. He also wants to make sure rural education gets proper attention and funding comparable to urban education by bringing high speed internet and virtual education to rural communities. Abrams is very clear that she feels climate change is a very prevalent issue and goes as far as to say that she wants to “protect our communities from climate change.” She is in favor of advancing renewable energy sources like wind, solar, hydro and biomass which she says will lead to more local job growth. She wants to update local building standards to create more energy efficient buildings as well as expand the use of public transit and low emission vehicles, however she did co-sponsor a bill that ended the tax credit for electric vehicles. She is supportive of the jobs that nuclear energy has brought to Georgia however she feels that it has been mismanaged at the expense of taxpayers and should not be the only clean energy source Georgia takes advantage of. Kemp frequently states that he is supportive of the environment and speaks about his “love of the land” and how we must be “good stewards of the environment.” Georgia’s Public Service Commissioner, Bubba McDonald,endorses Kemp and states that “[he] realizes the impact that Georgia’s energy policies have on economic development. He understands the power of solar and supports renewable energy policies that are market-driven, affordable and good for Georgia families.”Kemp also proposes a tax credit for those who carpool and strongly supports the Plant Vogtle project and says that the construction of the two nuclear reactors must be finished for the long term benefit the state. He trusts the Public Service Commission to “put ratepayers first” as they continue to decide how to continue with the project. Abrams believes in justice system reform and believes that Georgia spends too much money locking people up without proof that it makes the community safer. Abrams wants to lower incarceration rates and get rid of cash bail. She feels her efforts will help lower recidivism rates for minor, nonviolent crimes. She also wants to implement fines as punishment for small crimes, such as marijuana possession, instead of jail time. She also wants to provide pathways to restoration for those who have committed crimes but still want to be a contributing member of society. Abram overall wants to help keep the Georgia community safe while using funds wisely rather than continuing the Georgia’s tradition of being a leader in incarceration. Kemp believes that the two biggest threats to the safety and welfare of Georgia residents are a rise in gang activity and the presence of undocumented immigrants. Kemp wants to combat gang activity by launching a public awareness campaign to inform citizens of gang activity and provide public safety resources. Kemp will also put more funding into the Criminal Street Gang Database and give the Attorney General’s office the power to prosecute gang cases multi-jurisdiction-ally. He also wants to provide police officers with additional training on how to deal with gang activity. Kemp also wants to use the same strategies when dealing with Illegal Aliens through his Criminal Alien Database. He hopes that the database will give law enforcement officers the necessary tools to swiftly and efficiently deport any illegal aliens. Each candidate’s position on the aforementioned categories will guide their policy goals during their tenure in office. Familiarity with the platforms that these individuals represent is important when deciding who you will vote for in the coming election. Atlanta will be my home for the next four years. As I mentioned at the beginning of this post, at the start of this assignment Kemp and Abrams were merely buzzwords that I would hear around campus, now their names are tied to distinct beliefs and political agendas. I may not fully agree with Abrams perspective on the de-privatization of schools, but I do think that a “Govenor’s Youth Council” would do amazing things for civic engagement. Kemp’s plan to allow the Attorney General to prosecute gang cases across multiple jurisdictions has the potential to allow for more cooperation among law enforcement. However, his idea of the “two biggest threats (gang activity and illegal immigrants) to the safety and welfare of Georgia residents” is narrow-sighted. *All thoughts and opinions shared in this post are that of the individual student and do not represent any position taken by the Lowery Institute.